Is This Thing Still On? 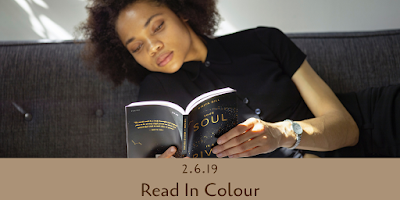 | Read in Colour Read in Colour: Is This Thing Still On? It’s been so long since I’ve reviewed a book over here or even thought about blogging that I had to take a minute to remember my password. I can’t remember exactly when I decided to give up on blogging, but from the looks of things, it was almost a year ago. There was no particular reason, there were a variety of reasons. Life got extremely busy, books got a little boring and you guys weren’t necessarily responsive, so I didn’t think my voice would be missed. And, honestly, it probably hasn’t been. But I enjoy talking about what I’ve read, even if I can’t do it consistently. So, I’ll be back February 9th and I’m going to try to share reviews, even if they’re just mini reviews, with you weekly. See you then.